Cytopenia is a term that you may have seen linked to a number of health issues. You may have read about it in articles discussing cancer, or perhaps you saw the word pop up in a piece about anemia. But, what does cytopenia mean exactly? What are common cytopenia symptoms? In this article, we’ll get down to the brass tacks of the condition. From cytopenia treatment to the accompanying side effects, we’ll explain cytopenia in its basic terms. You will find out why you should know what cryptopenia is and how it may affect your life. What is cytopenia? Well, it’s the first and easiest question to answer. Your body has three types of blood cells: white blood cells (WBC), red blood cells (RBC) and platelets. Cytopenia occurs when there is reduced production of any of those three types of cells. Unfortunately, when the production of those cells is reduced, it can cause a number of other health issues. What Are the Types of Cytopenia? There are several different types of cytopenia, and each comes with its own set of issues that can cause you much discomfort. Leukopenia occurs when your white blood cells are reduced. White blood cells are responsible for fighting off viruses and bacteria within your body, and when their production is low, it makes it harder to fight illnesses. Thrombocytopenia is characterized by a lack of platelet production in the bone marrow. Since the platelets play a significant role in clotting and bleeding, thrombocytopenia can cause even a small cut to bleed profusely. Caused by a low red blood cell count, anemia develops when reduced amounts of oxygen are being carried to the various organs that need it. Neutropenia is an unusually low level of neutrophils, which are a type of white blood cell used to help fight off infection and illness. Pancytopenia happens when all three types of blood cells are at reduced production levels. This can be extremely dangerous for your body, as pancytopenia makes you susceptible to all of the issues that we’ve listed above. Now that you know about the different types of cytopenia, you may be wondering what actually causes cytopenia. Alcoholism can lead to bone marrow poisoning, which, in turn, can cause a lack of blood cells. A lack of vitamins like B12 and folic acid can result in the decreased production of blood cells in the bone marrow. Diseases like lymphoma and leukemia can affect the production of blood cells in the bone marrow. Medications used to treat seizures, malaria, and HIV can cause cytopenia, as can certain antibiotics like penicillin. The prolonged use of phenytoin, indomethacin, chlorpromazine can cause neutropenia, while anticonvulsant, antipsychotic, and immunosuppressive drugs can cause leukopenia. Taking excess amounts of valproic acid and methotrexate can also affect your platelet count. Radiation therapy used for cancer patients can have the side effect of reduced production of white blood cells. Certain hereditary conditions like Wiskott–Aldrich syndrome and Alport syndrome can result in the development of cytopenia. Autoimmune disorders are also a causative factor for the development of cytopenia. Infections like hepatitis C, varicella, rubella, and mumps can affect the bone marrow, which also affects the production of blood cells, and may result in cytopenia. Knowing the causes of cytopenia may help you avoid or identify the source of your health problems, but it is also helpful to know the symptoms. Nailing down the symptoms of cytopenia is a bit difficult, as each type of the condition may present unique symptoms. The symptoms of anemia can include pale skin, dizziness, confusion, poor concentration, frequent headaches, lightheadedness, tachycardia, shortness of breath, weakness, fatigue, and lethargy. Symptoms include easy bruising, easy bleeding, increased clotting time, and spontaneous bleeding, especially in the nose and mouth. Neutropenia symptoms can include bacterial, viral, or fungal infections; fever; and ulcers in the mouth and throat. Pancytopenia symptoms could include fatigue, lethargy, weakness, easy bleeding and bruising, and spontaneous bleeding, especially in the gums and nose. With the above plethora of causes and symptoms, you might assume it’s really difficult to diagnose cytopenia, but there are ways to get that diagnosis. 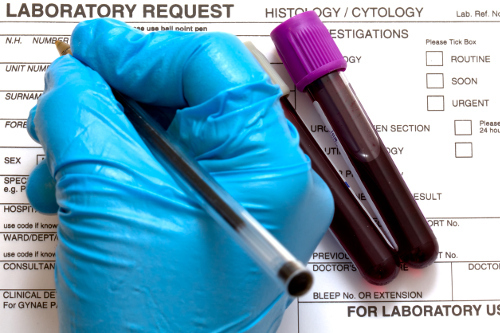 Diagnosing cytopenia may seem like a daunting task due to the number of different symptoms, but there are a few tests that can help doctors figure out your health issues. This test counts the number of red blood cells, white blood cells, and platelets in your bloodstream. If there is a reduced number of any of these, it not only helps the doctors diagnose cytopenia, but it also tells them what type you may have. For bone marrow aspiration and biopsy, a small needle is inserted to the bone marrow and a small sample is taken out. That sample will be tested to see if you have a type of cytopenia. These tests are designed to count your different blood cells. Once the news comes back, you can proceed to figure out a method of treatment. Because the causes and symptoms of cytopenia are so varied, treatments often focus on the specific type of cytopenia, rather than the condition in general. Bu,t there are a few treatments that you should be aware of. In terms of general cytopenia, there are some medical treatments that may help you out. Epoetin alpha, for example, may be recommended as might steroids. Doctors may suggest vitamins and up the iron content in your diet in order to combat the condition. This seemingly drastic measure may be necessary in severe cases of cytopenia. The transfusion will help your body replenish its red blood cells. Much like blood transfusion, this is an extreme measure, but it can also help replenish and kick start production of blood cells needed when suffering from cytopenia. Medications like Procrit, Neupogen, and Leukine can stimulate the bone marrow to produce more blood cells. The above treatments may appear grave, but they can help. Most doctors will work on your specific type of cytopenia, which may mean less severe tactics. For anemia, it may be as simple as increasing your iron intake. Seeking a medical professional and following the suggested course of treatment may be your best option for relief. There are several types of cytopenia, and each form may require different types of treatment. The good news is that each type is distinct and easily differentiated by medical testing. Once you identify the type of cytopenia affecting you, a treatment plan can be worked out. And when you start treatment, you are that much closer to returning to a normal and active life. “What is Cytopenia & How is it Treated?” ePain Assist; https://www.epainassist.com/blood-diseases/what-is-cytopenia-and-how-is-it-treated, last accessed May 3, 2017. “Cytopenia,” Remedy’s Health Communities; http://www.healthcommunities.com/cytopenia/cytopenia-overview.shtml, last accessed May 3, 2017.